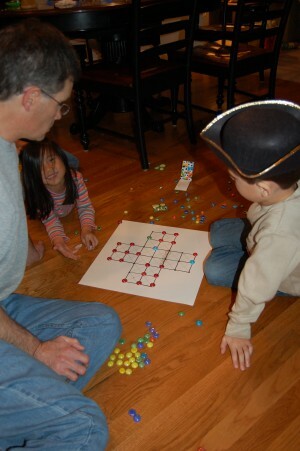 For some of us the idea of doing hands-on projects with our children can be daunting. I am neither crafty nor artistic, and I don’t enjoy making and cleaning up messes during the course of our school day. However, I have come to the conclusion that with a little bit of forethought and planning, including hands-on activities in our history lessons can be painless and fun. Most importantly, the right project can bring a historical topic or time period to life for children. I am always amazed when one of my children brings up a project we completed several months ago and is still able to associate it with the concept about which we were learning. Today I thought I would share with you a couple of my favorite resources for user-friendly, hands-on history projects. Most of these books can be found at your local library or an online bookseller. American Kids in History by David C. King – There are several volumes in this series that cover different time periods. We have only used Colonial Days: Discover the Past with Fun Projects, Games, Activities, and Recipes and Revolutionary War Days: Discover the Past with Exciting Projects, Games, Activities, and Recipes . 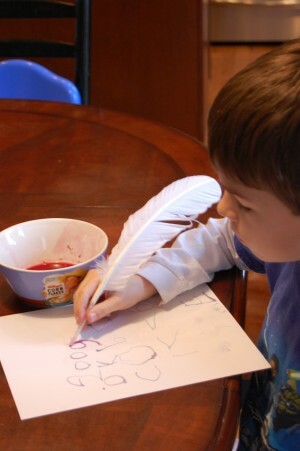 Some of our favorite projects from these include quill writing, making and playing traditional colonial games, and dipping candles. 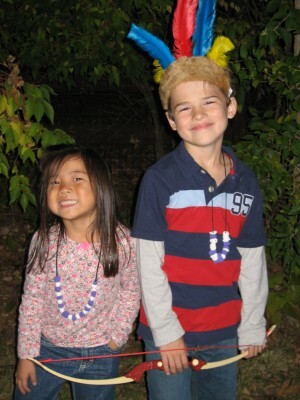 More Than Moccasins: A Kid’s Activity Guide to Traditional North American Indian Life (A Kid’s Guide series) is just one of many Activity Guides that Laurie Carlson has written for different periods in history. From this book we enjoyed several Native American projects including making and trading wampum (clay beads), making and wearing paper bag vests, making and playing with spinning tops, and playing Shinny, an early form of hockey. For most of these projects, we used supplies we already had on hand or recycled household items. Some of the projects do require materials that you would probably have to purchase, for example, the paraffin wax for the candles. I hope that you’ll check out these resources and find them helpful in spicing up your history studies with some hands-on fun. Written by Shannon, who is a history-buff at heart and enjoys blogging about her family’s homeschooling adventures at Song of My Heart. I love all three of these resources and often find that the projects are easy and fun to do with a wide range of ages. Some of these make great group projects too. To be perfectly honest, it’s hard for me to understand why people don’t like hands-on projects. I just think they are totally incredible! When I was a public school teacher, I had so many ideas that just would never work with a class full of children. But at home, with your own – YES! It works. It’s doable. Yet another advantage to homeschooling. We loved the More than Moccasins book too. Of course, we just picked and chose which to do. You could never do all the crafts. BTW –This post would be fantastic for the next Hands-on Homeschool Carnival which will be April 14. You can submit it here. .-= Jimmie´s last blog ..Matisse Artist Study =-. .-= Jill´s last blog ..History for Children =-. We love the books you mentioned as well. They are great resources! Hi Shannon, Just came by from the hands on carnival. Thank you for sharing – this is a great submission. I hope you will be doing more hands on stuff with your kiddos and sharing on the carnival again! 🙂 Now I’m off to find those books!